The process of grieving that follows the loss of a loved one, can never be easy. Although it is known that no two people experience loss the same way, someone who has lost a loved one to suicide experiences grief quite differently than someone who has lost a loved one to other causes. Along with the emotions usually associated with loss like sadness and disbelief, they may also experience a host of other feelings such as guilt, confusion, shame and anger. They may keep thinking about reasons as to why it happened and what they could have done differently to prevent the suicide. They may suffer a sense of betrayal at being abandoned, and feel angry at themselves for missing out on possible clues about suicidal behaviour. They are likely to struggle with self-blame, despair and helplessness. Because suicide also has negative connotations in society, their grief is further complicated by associated stigma and trauma, owing to blame, judgment or social exclusion. Survivors of suicide loss might be at risk to develop complicated grief as well. This means that they are more likely to experience depression and symptoms of PTSD. Complicated grief impacts social and occupational functioning, and physical health. Some survivors might also consider suicide themselves. However, in 2008, Sveen and Walby reviewed 41 studies and found that while there weren’t many differences in psychiatric disorders like depression, anxiety, PTSD or suicidality among those grieving loss due to suicide and other causes, there were greater feelings of rejection, blame, shame, stigma, and the need to conceal the cause of death. Jordan (2008) also identified these characteristics of suicide loss as causing delay in healing for survivors. Painful as it might be, moving forward after this loss is essential. This process involves an active endeavour to heal yourself and regain meaning in your life. Some of these suggestions might help you work through your emotions and motivate yourself to keep going. Remind yourself that you are not responsible in any way for your loved one’s death, and try to hold on and stay grounded to this thought if you start blaming yourself. Accept that you had little control of the situation, and could not have prevented it. There is no set script on how you should grieve or how long you should grieve for. Allow yourself to cry, laugh and talk about your loved one when you are ready, without an external time frame. When you feel ready to do so, plan ahead with your friends and family to deal with, and celebrate birthdays, holidays and other milestones. Keep in mind that happy events may also involve moments of missing your loved one, and that is okay. Stay connected with family and friends for emotional support and comfort. Surround yourself with positive people, who will understand when you want company and when you want to stay silent. Acknowledge that they may not know what to say or ask, and communicate openly with them. Sharing your own story, and listening to similar stories of loss at a support group for those affected by suicide can be supportive and reassuring. Such an experience can facilitate your search for purpose and equip you with strength to move forward. Seek professional help. It may be important to seek help from a mental health professional after losing a loved one to suicide, especially if there are symptoms of depression and thoughts of suicide. 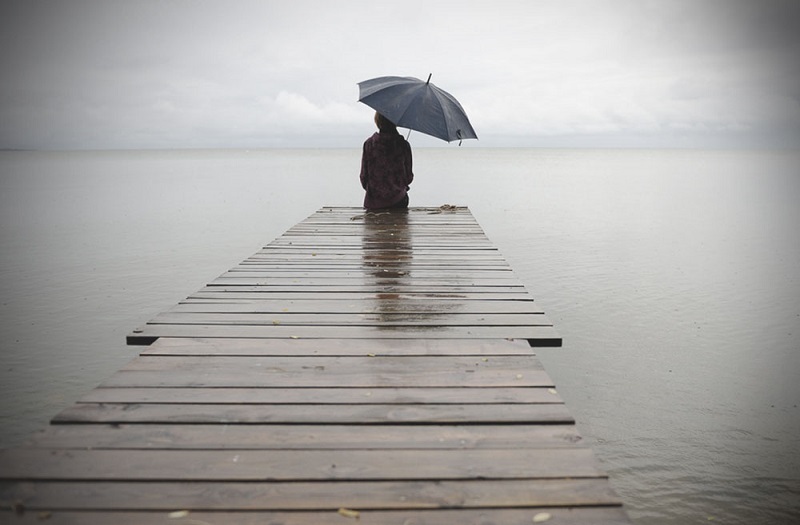 If grief stays unresolved for a long time, it could prevent you from living your own life. A professional will be able to help you make sense of your loss, understand and process your emotions, and help you work through them in healthy ways. If you or anyone you know is struggling with the grief of having lost a loved one to suicide, don’t hesitate to reach out to us. An InnerHour therapist can help you.